Every morning and afternoon, I run and hike on the trails in the woods behind our house. The birds are always singing, especially the ovenbirds - teacher, teacher, teaCHER, teACHER, TEACHER!! 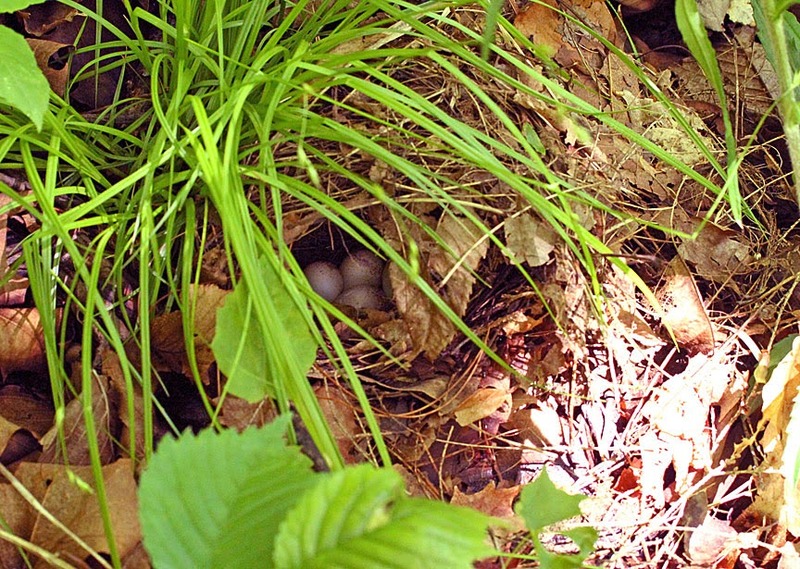 A week ago, an ovenbird flew up from the ground in front of me, and when I looked, I noticed her nest! Gerry and I came back later to take pictures and I couldn't find it again!! It looked so obvious when I first saw it! 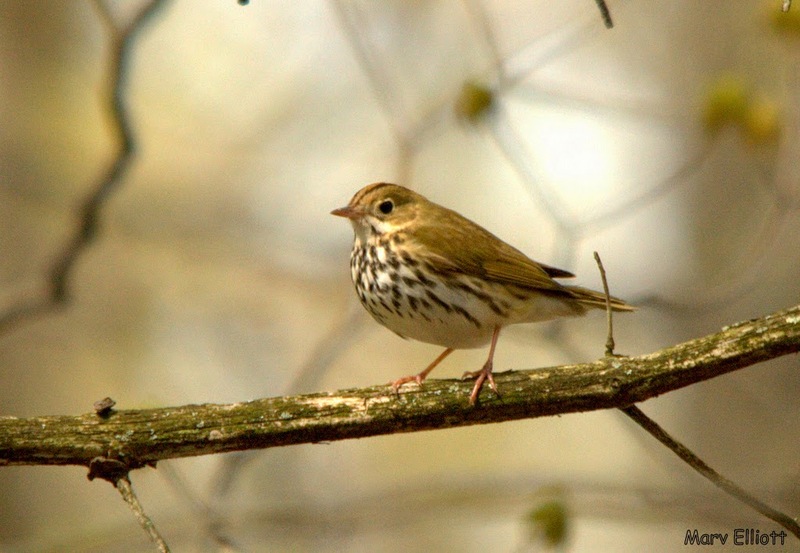 Today, the ovenbird again flew out of the nest and I saw it and put a stone on the trail so we could come back and take pictures! 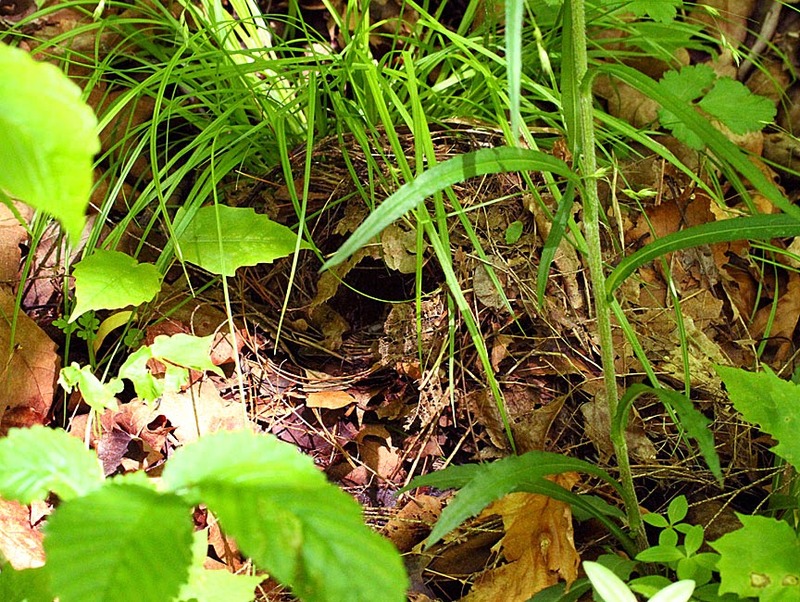 It still wasn't obvious at first, it's amazing how well camouflaged it is! Thanks to Marv Elliott for the use of his photo!! Only the female sits on the eggs and broods the chicks, but both male and female feed them. By day 8, the chicks leave the nest one at a time, with several hours between the first and last. As they run and hop away from the nest, the parents split the brood. The male keeps his young within the territory, and the female leads hers to an adjacent area. Females feeding young in neighboring territories are not harassed. The chicks need several more days to begin to fly, and don't become independent until around day 30. 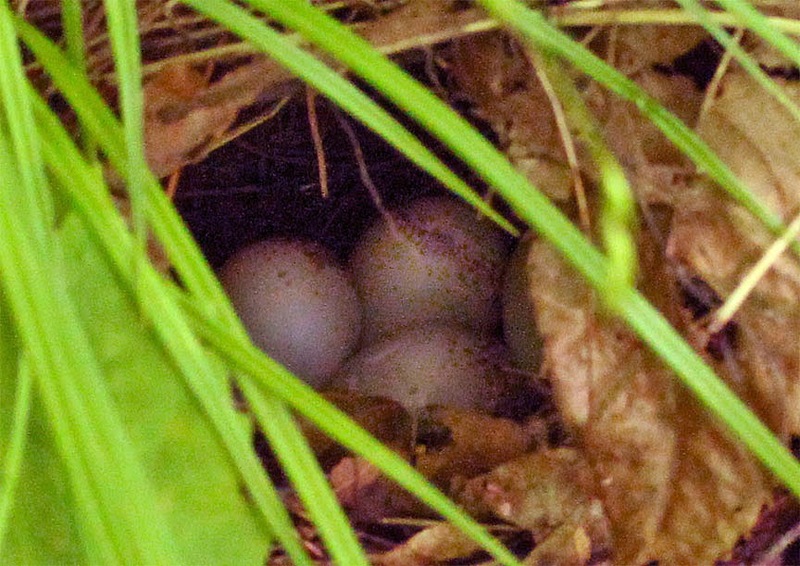 There's 4 eggs inside but a clutch can contain up to 6. 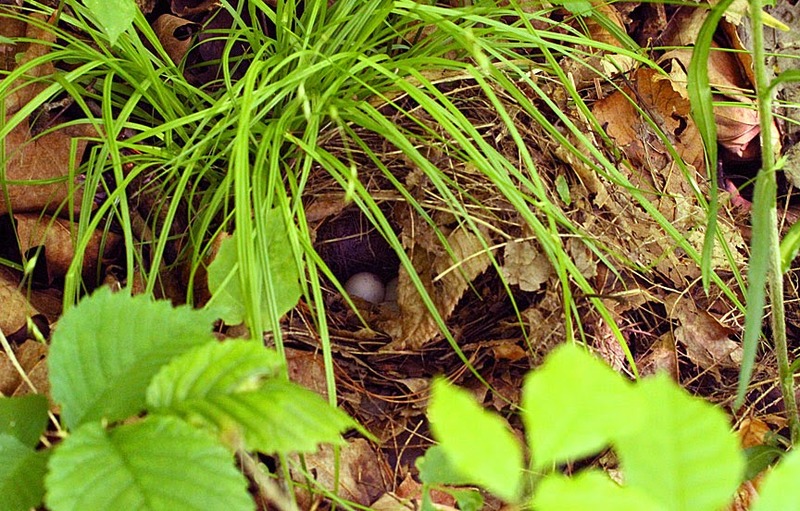 The nest is dome-shaped with a side entrance, it resembles a Dutch oven, which is how the ovenbird got its name.I hope everything goes well and we can update with news of the baby birds!! Amazing! I knew they built an oven-like nest, but I'd never seen one before. Now I want to go searching.